I always wanted something a bit special – but at the same time, fast and easy – for Thanksgiving morning. I want to start the holiday with a feeling of abundance, but I also want to be in the living room watching the Broadway numbers at the parade… Muffins have worked for this, in the past. 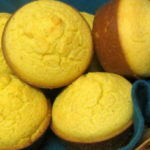 And I’m pretty well pleased with my corn muffins – but I eat them all the time, now, they’re not special. Besides, I’m going to make a corn bread stuffing… I don’t want to be repetitive. 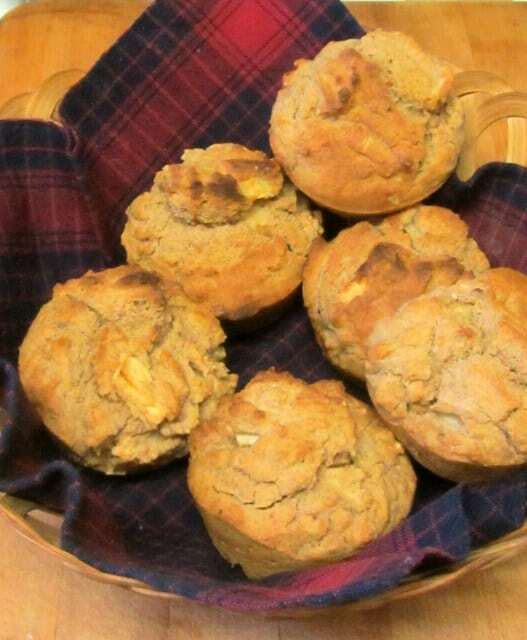 So I decided to make apple cinnamon muffins. 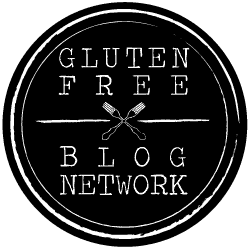 On the other hand, I’m just beginning to learn about gluten free baking… I’ve decided that I will be experimenting with muffins, to get to know some of the properties of the flours. It’s a small batch, if it’s not great it’s also not a fiasco. If I use essentially the same recipe and sub in different flours, it will be easier to compare them. Now – let me be clear – there are lots of gluten free muffin recipes out there. 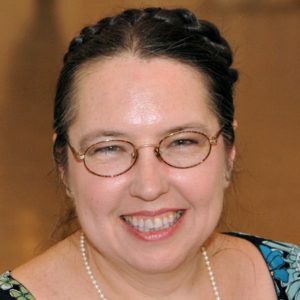 And I have no doubt that many of them are considerably better than this one… I’m posting this for a couple of reasons. Another is that this is a marker. A year from now I’ll look back and laugh (I hope,) and know that if I “just tweak this” it will be so much better… but this way, we all know where I started. The big one, though, is the reason I’m starting from scratch, instead of using the recipes out there. 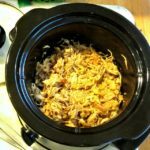 Most recipes and products are, as I said, trying to resemble the taste and behavior of white flour, mixing the whole grain flours with additional starch to replicate the starch content of wheat flour, and so on, and that’s really not what I want. It’s not even the insistence on whole grains, it’s a matter of flavor… white flour products taste insipid to me, these days. So I’m going to be researching grains and flours, comparing nutritional values for starch and protein, seeing how they taste in the food… and trying to find what I like. And I thought I would share at least some of that process with you – so then you can do what you want with the information, whether you then want my end result or not. Another note – I weighed my flour. I’ve been weighing flour for breadmaking for a couple of years, now, having realized that my own measurements by the cup can vary… if I’m in a hurry, if I’m not paying attention, and so on. 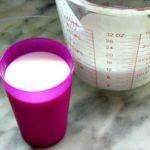 Adding it by weight also saves washing measuring cups – always a good point! 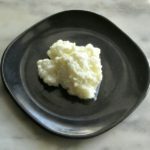 I’ve been looking at books about baking a lot lately, and several start with “The Right Way” to measure flour – but they have cited different methods. There’s stir and scoop, scoop and sweep, pour and sweep… and they give you different amounts of flour in the same cup, because flour packs down with some methods… Moreover, flours ground from different grains can be finer or coarser, and also vary in measurement… If I want to be able to substitute one flour for another, weight is the only way to do it accurately. And the standard used in weighing for baking is metric. I’ve seen the number 140 g used as a base replacement for one cup of wheat flour (though I’ve also seen charts that assume more or less for wheat flour… here is the problem…) I’m going to be totally confusing, though, and use weight for flour, and sometimes that and sometimes volume measurements for other things. 5 g of baking powder, say, is about one teaspoon – so I can’t use a teaspoon and a half? But I want to, here! And I still find it easier to just pour a cup of milk… (Though I’m working on a corn muffin mix – and I’m going to make that all weight, to save washing measuring cups on a busy morning…) Sorry, but, right now at least, I’m going to be inconsistent – use what seems to work best in the circumstance. I started by heating the oven to 425, and buttering the muffin tin. Then I took my mixing bowl, put in one egg and beat it. 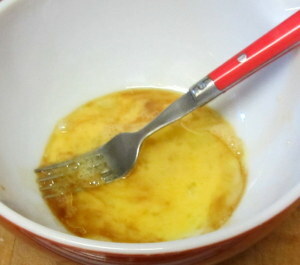 Then I mixed in 3/4 of a cup of milk, 1 teaspoon of vanilla, and 2 tablespoons of oil. I used canola, you can use whatever neutral oil you prefer. I put that aside, and placed a smaller bowl on my scale. One convenience to using a good digital kitchen scale is that you can hit the Zero or Tare button, and then it will just weight what you add to it. So I hit zero, then added 100 grams of brown rice flour, hit zero again, and put in another 100 grams of millet flour. (I’m using small scoops that I just leave in my canisters.) Put the scale away, and mixed in 2 teaspoons of cinnamon, 1 1/2 teaspoon baking powder, and a pinch of salt. 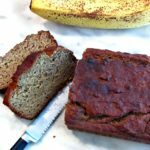 I used a clean fork to mix it all very well – I want to be sure the baking powder and cinnamon are well distributed, and doing that should mix the flours well. Now – most muffin recipes warn you sternly not to overmix – because they don’t want you to waken the gluten and make the muffin tough. Not an issue, here… However, the baking powder starts to react as soon as it is moist. So, once the apple pieces hit the flour mixture, I moved quickly. 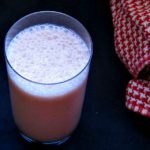 (Which seems to have affected the quality of my pictures – sorry about that…) I tossed the apple around well in the flour, then poured that whole mixture into the liquid mixture, and stirred it until fully blended. 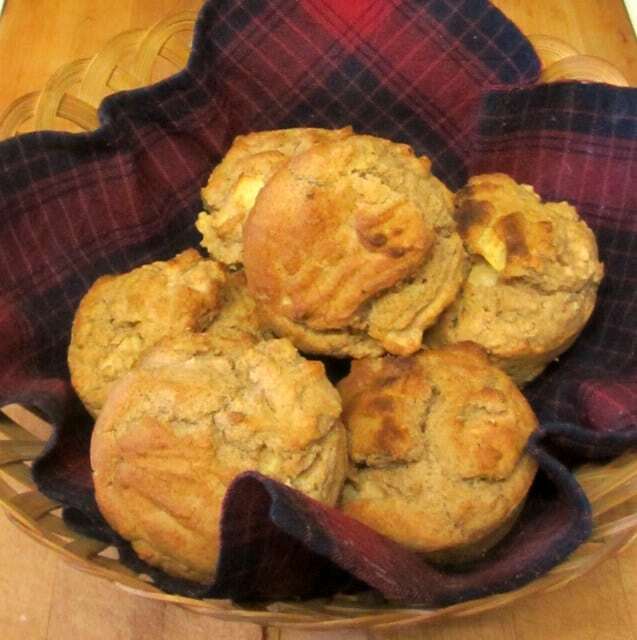 (I add the flour to the liquid – not the other way around – as it prevents clumps of flour on the bottom of the bowl…) Then I poured it all into the buttered muffin tin, and popped it into the oven for 20 minutes. Note: my base muffin recipe is for 6 muffins. I do this because I spent years living alone, and being frustrated that all my recipes made 12 (or even 18!) muffins, using one egg. I wasn’t sure how to divide them, I didn’t want 12 muffins at a time for just me, and I didn’t want to invent recipes, I just wanted a muffin… Also, sometimes I did just want to bake it in the toaster oven, not heat the big oven… Now, I may, down the road, have other recipes that do work best for a dozen muffins – but I will always come back to the 6 muffin as the basic. If you do want a dozen, this will double nicely. (I’ve made as many as 2 dozen of the corn muffins at once, for a potluck…) As it happens, the amount of egg I use acts as a binder,and probably helps the crumb. I did find the drier bits were still just slightly sandy in texture – I’ll work on that… but most of the muffin was nice and moist, and tender. 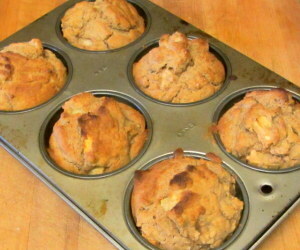 Gluten free apple cinnamon muffins. 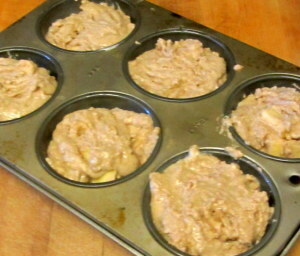 Grease a 6 muffin muffin tin. 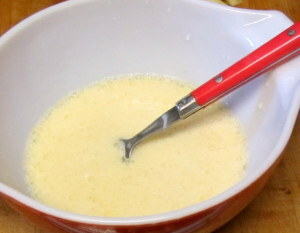 Beat the egg, milk, oil, and vanilla together in a mixing bowl. 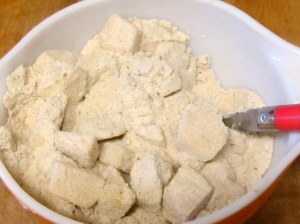 Blend the flours, cinnamon, baking powder, and salt together well. 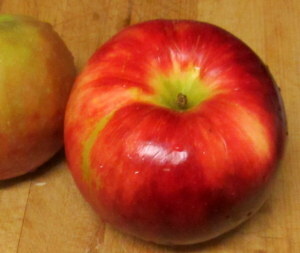 Peel, core and chop the apple. 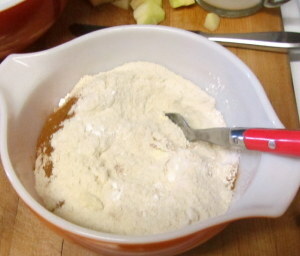 Toss the apple pieces in the flour mix to coat and separate. Pour the dry mixture into the wet one, and stir until completely blended. Pour into the prepared muffin tin. Bake at 425 for 20 minutes. Hey-did I miss something? No sugar at all? I made these today and they seem to be missing that. Oh, sorry to confuse you! No - you didn't miss it. I don't add sugar to my cooking - but I did not specifically mention that in this recipe, though I often do. You have a few options. You can do what Rich occasionally does, and eat them with honey or jam. (He usually eats them as is, because we have them with eggs or other savory food, where he doesn't want something really sweet.) Or you could add sugar. I'd start with two tablespoons, I think - the apples themselves do add some sweetness - but you could probably go up to a quarter of a cup before it started affecting the ratio too much. After that, I'm really not sure what the effects would be - I've never baked with these flours and sugar together. I'd love to hear how it works for you! Thank you for trying them!